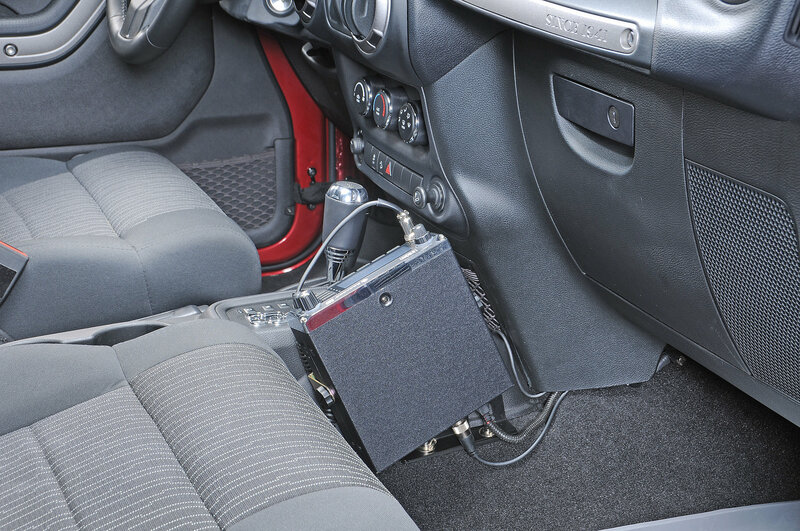 JK Quick Disconnect Universal CB Mount for 2 & 4 Door (Passenger Side Only). 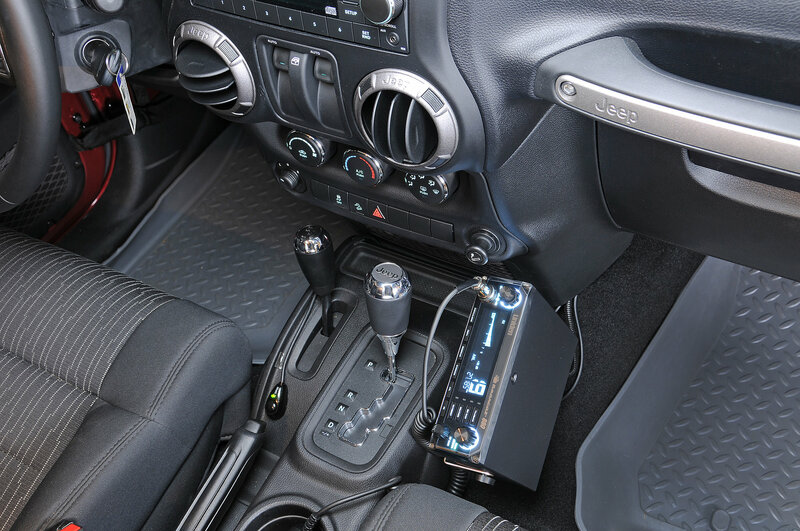 Designed for many of the larger CB Radios like the Uniden Bearcat 680 & 880 and the Cobra 25. 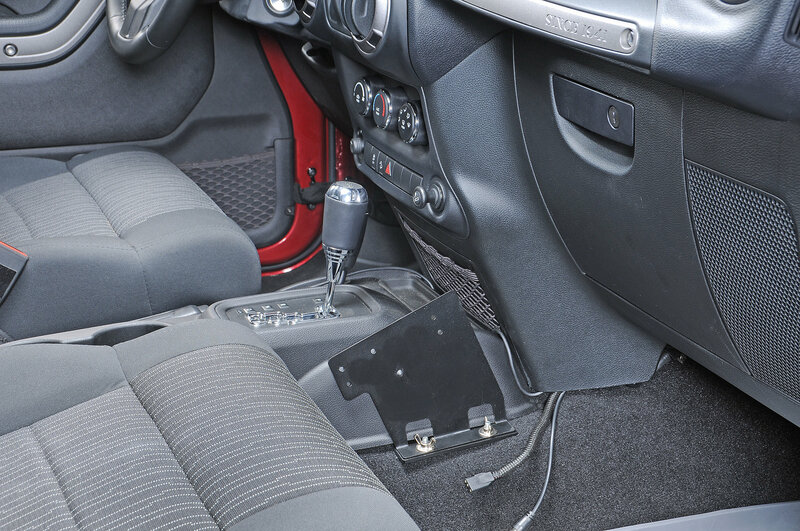 **On 2 Door Models will limit the travel of the passenger seat. I got this for my 2014 Jeep Wrangler Unlimited, and I am very happy with this mount! I previously had my CB mounted above my rear view mirror. I liked the idea of having my CB there, but then found that it made my rearview mirror unusable, and also rattled annoyingly when offroading to the point that on one trip I stopped and removed my CB from that mount (I use HAM radios when offroading and use the CB during road trips). With that in mind I set about to find a better mount and came across this. Knowing what I do now, the way the quick removal feature works on this drew me in. 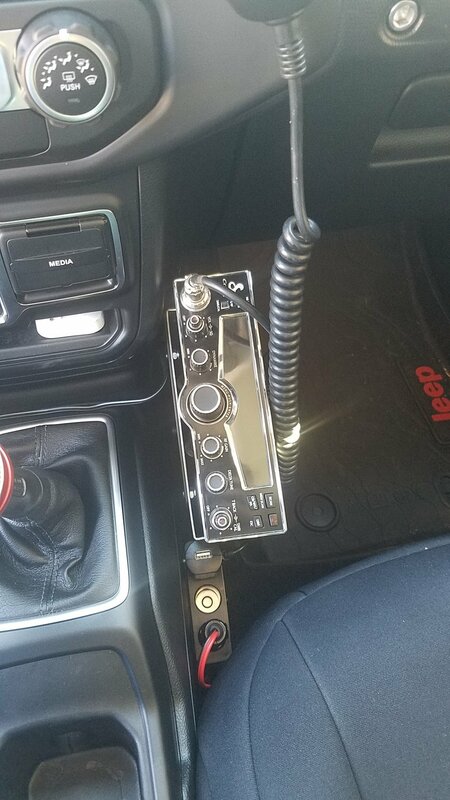 I installed the mount and my radio and found that it does not impede space for a passenger by much and was happy about that. I am also very happy to have my rearview mirror back. Moving my wiring through to this location was also not much trouble. With that said, the one problem I did have was with the physical size of my radio, a Cobra 29 LX. 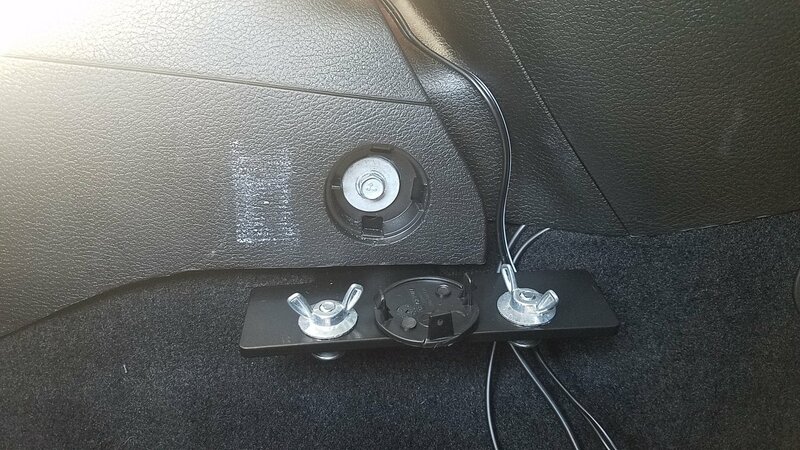 Its size interfered with the wing nuts for the quick release and completely blocked access to my 12v outlet by the shift lever when mounted in this. 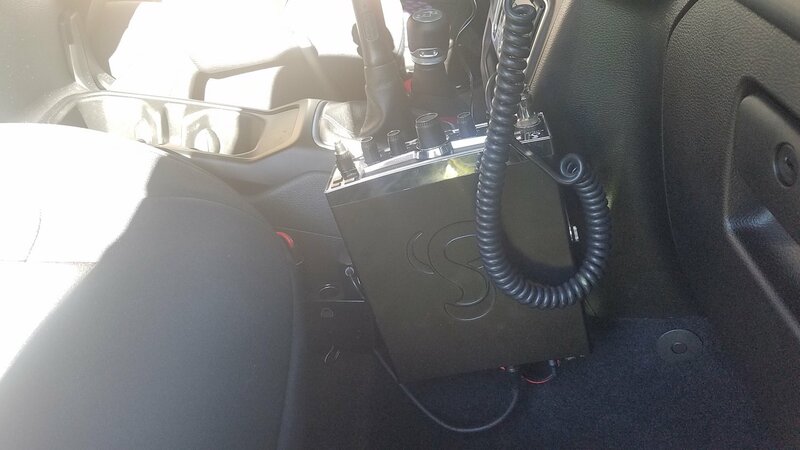 That day I went to a local truck stop and purchased a Uniden Bearcat 880 which fits perfectly in this and allows use of my 12v outlet. Keep this in mind when purchasing this, at least for a JK/JKU. 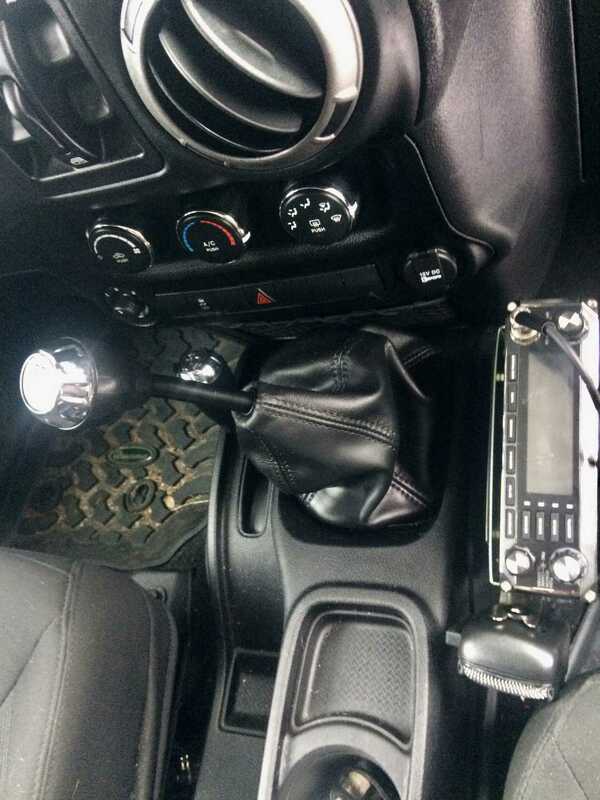 I am not taking off a star for this as I am more concerned about a good mount setup than the exact radio I have. 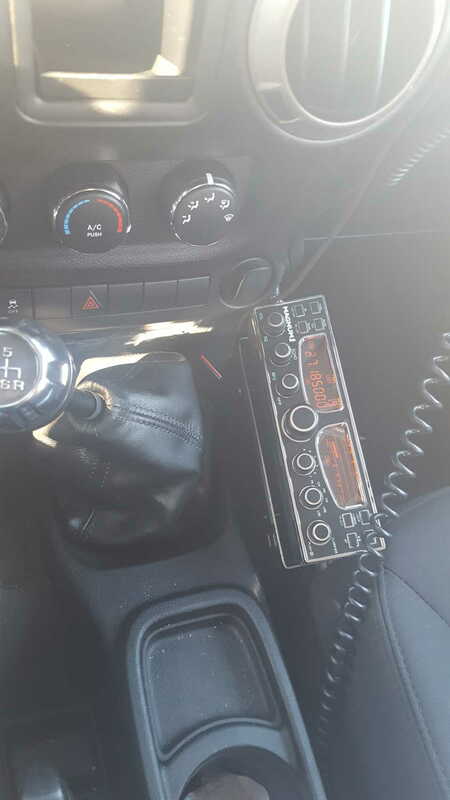 I am slightly saddened for letting go of my previous radio as I really like it, but I will either sell it or use it in a different vehicle one day. 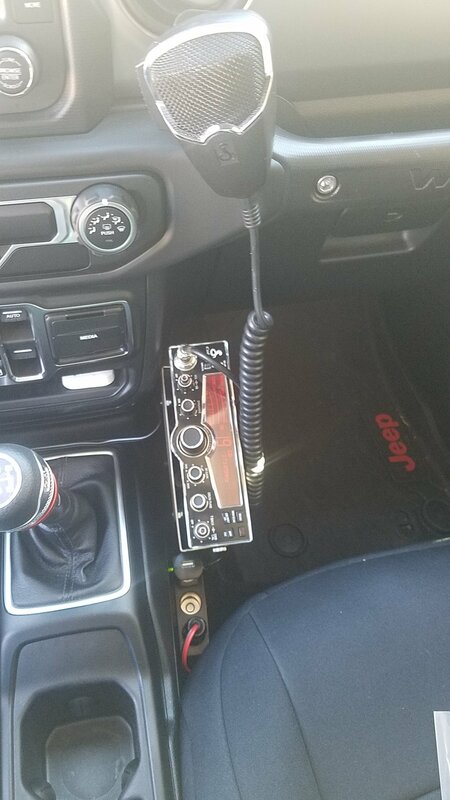 I am very happy with this mount, and would recommend this for JK/JKU owners over any other CB mount I have seen/used. 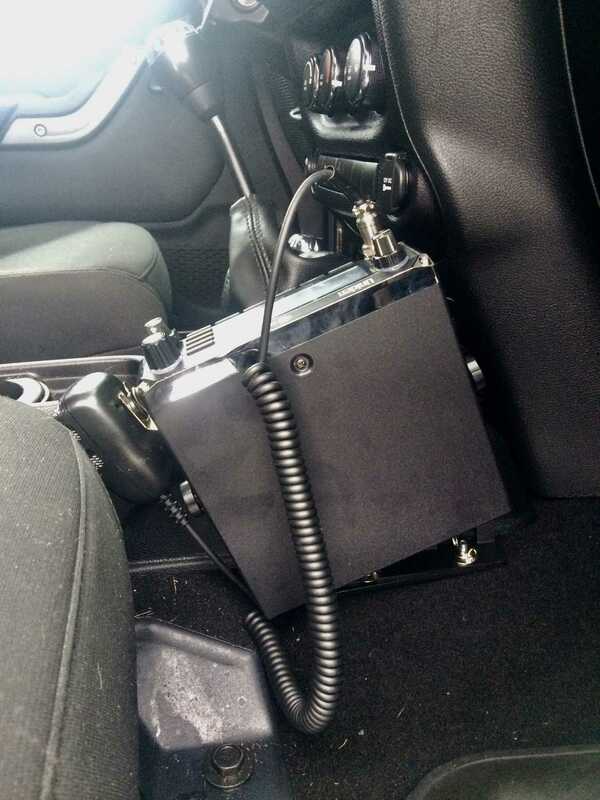 Placed in good spot and holds radio pretty well.. Just a little wiggle but if you think it over, where its mounted and how it works, you can expect rock solid. Would recommend it for anyone wanting to run a fullsize cb in their jk without drilling. My 29lxbt is right at home on the mount.